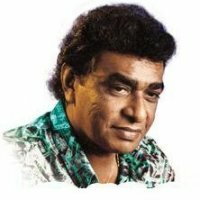 “Clarence” well known artist among Sri Lankans, who inspired the Sri Lankan music era in 70’s and 80’s with his great skills. Still people love his songs and specially his unique voice. Clarence Wijewardene was born in 1943 to an estate doctor at the Brampton Estate and his wife. In his youth he started to work as an planter but abandoned this career to take up a career in music. This change of ambition came when his family moved to Butugedere in Ratnapura in 1964. There Wijewardene abandoned a three month planting career at Penrith Estate in Avissawella to start a music career, and fell in love and married the daughter of his landlord in Butugedere. At that time, Wijewardene started a three men band without a name. Then, he formed the group "Moonstones" with singer Annesley Malewana, who was introduced to Clarence by his friend Premasinghe Marambe. With Malawana as the lead singer, the "Moonstones" entered the pop music scene and dominated the scene with hits like "Mango Nanda", "Kalu Mama" and many other songs which were later recorded with singer Indrani Perera as the female vocalist. The combination of Clarence, Annesly, and Indrani were called the "Sinhala Pop Trio". Clarence began to dominate the music scene from 1965 onwards unmoved by critics who hated the guitar. In 1970 Wijewardene formed the "Golden Chimes" with singer Anil Bharati. This did not last long, though, because Malawana and Wijewardene could not be seperated in the pop music scene. Hence they returned together with the "Super Golden Chimes" in 1972 and dominated the music scene, once again. In 1978, after Malawana's marriage, though, Wijewardene decided to start a solo career. As he, as a solo artist, too became successful many other singers started to come to him for compositions of songs for them. Soon, he was also composing music for films like Sikuruliya and teledramas like "Susima" and "Nidiumba Mal". He died on December 13, 1996 at the age of 53 in Sri Lanka. Some of the most popular songs of Clarence Wijewardene are "Seetha Sulang", "Ramya", "Sihina Pathum", "Dilhani", "Kimada Nawe", "Sandak Besagiya", "Sandai Tharui", "Kataragama", "Irudina", "Sihin Sinawai", "Muruga", "Surangana Weswala", "Moratuwa", "Kamak Ne", "Punchi Punchi Tharaka", "Patapate Ranthatu", "Duwa Roshi" and "Wikasitha Hadamala".